DR. DAVID S. RUCH earned his Bachelor’s degree in British Literature from Duke University and his Doctorate in Medicine from Bowman Gray School of Medicine at Wake Forest University in Winston-Salem, NC. Dr. Ruch also completed his residency at Wake Forest in the Department of Orthopaedic Surgery where he served as Chief Resident in 1992-1993. After residency, he completed a post-graduate Hand and Microvascular Surgery fellowship at Duke. He returned to Wake Forest where he served on the Orthopaedic Department faculty for 11 years, during which time he co-founded the Hand and Upper Extremity fellowship and served as its co-director. In 2005, Dr. Ruch became the Chief of Hand and Microsurgery at Duke for the Department of Orthopaedic Surgery and in 2016 assumed the role of the first combined Division Chief of Hand Surgery at Duke. Dr. Ruch has authored or co-authored over 180 peer-reviewed articles and 40 book chapters and serves as a reviewer for nine journals. His scholarly interests include traumatic conditions of the hand, wrist and elbow. In addition, he has extensive experience in the management of avascular necrosis in young adults. Dr. Ruch has served on numerous committees and boards. 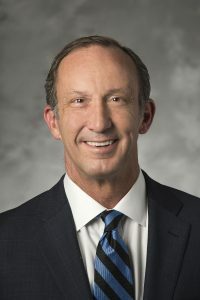 He is currently Chairman of the Membership Committee and on the executive board of the American Orthopedic Association, having previously served as Secretary for that board. He served for 5 years as the practice division director for the American Society for Surgery of the Hand and recently completed a term on the board of the American Association of Hand Surgery. He has also served as a representative to the American Academy of Orthopedic Surgery’s Board of Specialties (BOS). Dr. Ruch is past President of the Southeastern Hand Club and the Duke Hand Club and is currently Executive Director of the Duke Hand Club, through which he has chaired the Duke Residents and Fellows Upper Extremity Review Course for the past nine years.